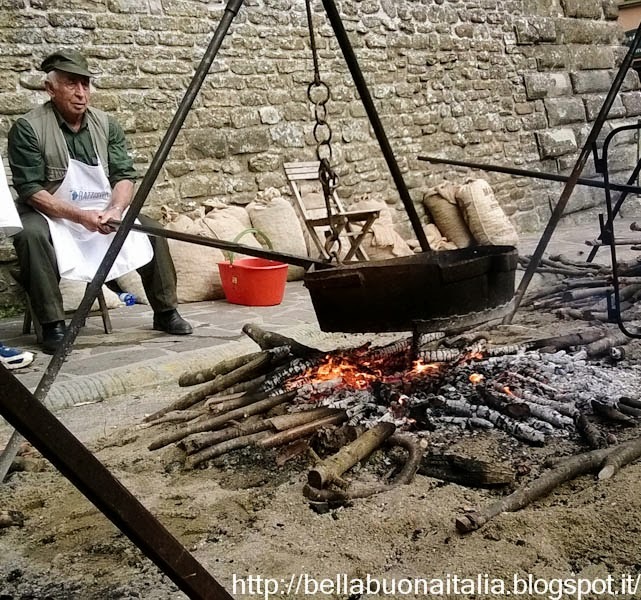 Last Sunday we went to the Sagra delle Castagne (Festival of the Chestnuts) in the Apennine Mountains, south of Bologna on the Emilia Romagna, Tuscany border. The mountains are littered with chestnut trees (they are everywhere!) 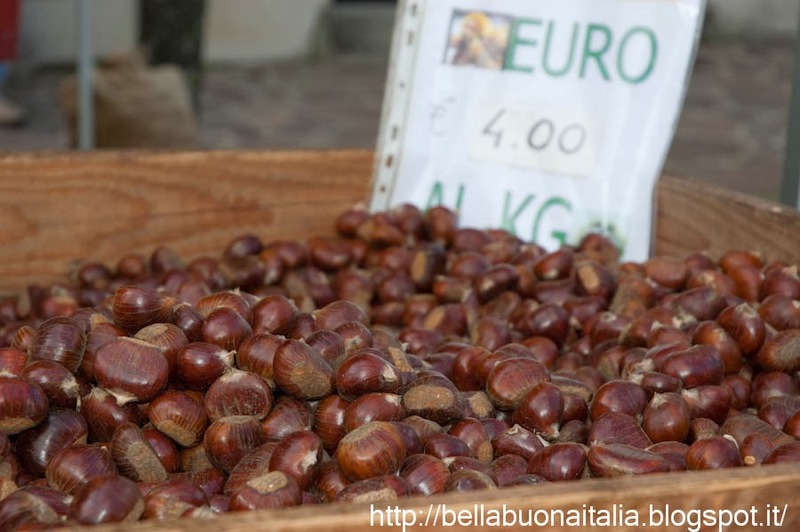 and October is the time of the chestnut harvest. Many of the small mountain villages have festivals to celebrate the chestnut harvest and to sell chestnuts and all the different chestnut products (pasta, cakes, honey). 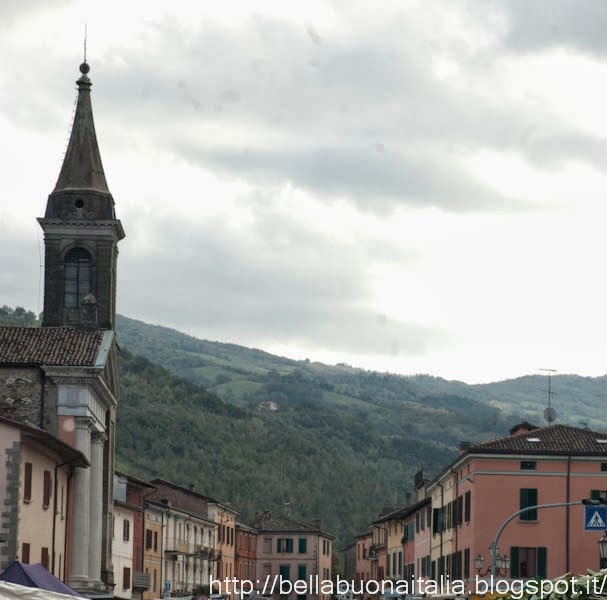 We visited the small villages of Castel del Rio and Marradi both of which were having festivals. I have to be completely honest and tell you that I am not the biggest chestnut fan but, having said that, I would still highly recommend going to the festivals – chestnut lover or not. It is a great way to spend a fall day and celebrate the special harvest time. The mountainside looks as though it has been painted with the beautiful fall folliage and there is that unmistakable fall crispness in the air. 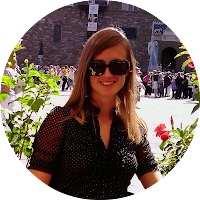 The villages are picturesque with the stone buildings with wooden shutters and stone bridges that cross over the perfectly, meandering river that makes its way right through the middle of most of the towns. And since everyone is roasting chestnuts – now and again, you get wafts of the warm, toasty campfire smell. 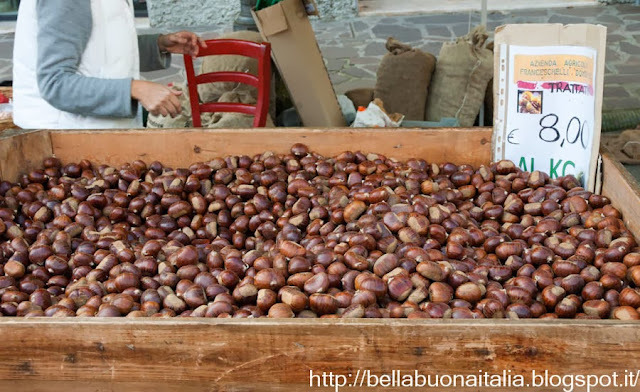 I also learned something new about chestnuts; you can buy chestnuts fresh (as shown in the first picture in this post) or "trattato" which means treated (as you can see in the picture below). If you buy them fresh they are less expensive (4 euro/kilogram) but you have to use them within 8 days. If you buy them treated it means they have been soaked in water for 6 days and then left to dry for 4-5 days in the sun (when you drive around the mountains - you see piles of chestnuts everywhere). The chestnuts that have been treated will last until Christmas. I wish I could find the treated ones here! It's tough to find non-jarred Chestnuts come Christmas in the states!